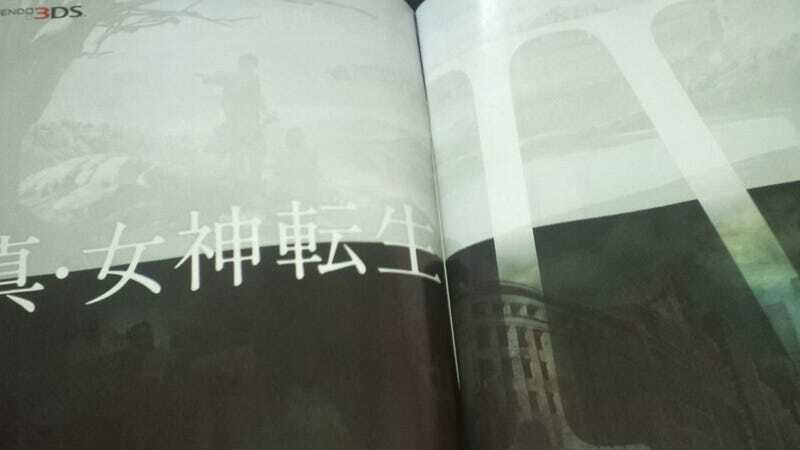 The latest issue of Japanese game magazine Famitsu apparently has a two-page advert that teases Shin Megami Tensei IV. It's apparently headed for the PS Vita 3DS. The popular Japanese role-playing Megami Tensei series debuted back in 1987 with Digital Devil Story: Megami Tensei. The first Shin Megami Tensei game was released in 1992. The ad reads Shin Megami Tensei IV in Japanese, but does not provide any details about the fourth entry in the Shin Megami series. Since the magazine has yet to hit Japanese newsstands, Kotaku is following up with Atlus, the game's developer, to confirm. This post will be updated should the company respond. Development on the game has commenced, and tomorrow Shin Megami Tensei IV's official site open. Here is the placeholder: megaten4.jp. Eds Note: An earlier version of this post incorrectly stated that Shin Megami Tensei IV was PS Vita bound. That is incorrect, and this is a 3DS game. Apologies for any confusion.